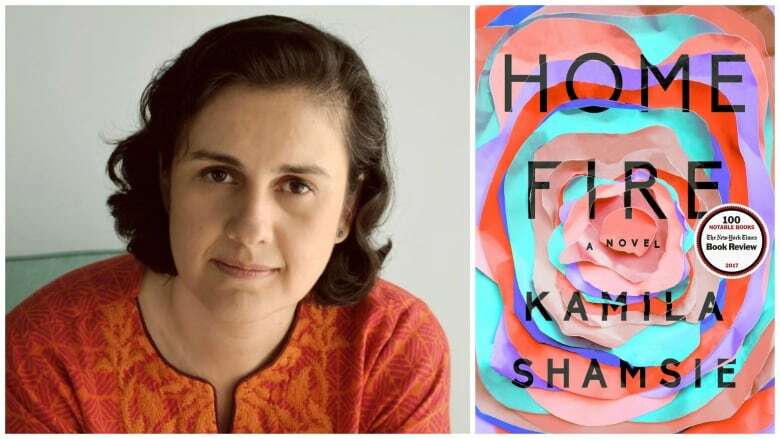 In Kamila Shamsie’s new novel 'Home Fire' — an adaptation of the story of Antigone — two young British-Pakistani women attempt to save their brother, who has left England to join ISIS in Syria. In her new novel, Kamila Shamsie reimagines an ancient Greek tragedy about what happens to a traitor, to explore the experiences of a young ISIS recruit and his family. Sophocles' play Antigone begins in the aftermath of a brutal siege. Antigone's brothers fought on opposite sides, and were both killed. The brother on the winning side is buried with full honours, but the losing brother is declared a traitor by the king, and his body is left to rot. The king decrees that anyone who attempts to bury him, will be put to death. In her agony, Antigone tells her sister Ismene, "The ones we love are enemies of the state." She defies the king, and pays a terrible price. InHome Fire, Shamsie transforms Ismene and Antigone into Isma and Aneeka, two young British-Pakistani women whose brother Parvaiz leaves England to join ISIS. It made the longlist for the 2017 Man Booker Prize. Shamsie was born in Pakistan and is now a British citizen living in London. Named one of Britain's best young novelists by Granta in 2013, her previous novels include Broken Verses and Burnt Shadows. She spoke to The Sunday Edition guest host Gillian Findlay about her new novel. Below are excerpts from their conversation. I became a citizen in 2013, and I'm a dual national of Britain and Pakistan. It was quite a difficult process to get citizenship, and I remember thinking, "Now I have it. They can't take it away from me. No one can tell me that I'm not allowed to live in this country." Quite soon afterwards, I became aware that there were all sorts of rules around dual nationals that make it easier to strip you of citizenship. Then when you started to have British citizens going to join ISIS, very quickly that became something that Theresa May, who was then the home secretary, wanted to invoke — this revoking of citizenship for those who had gone. 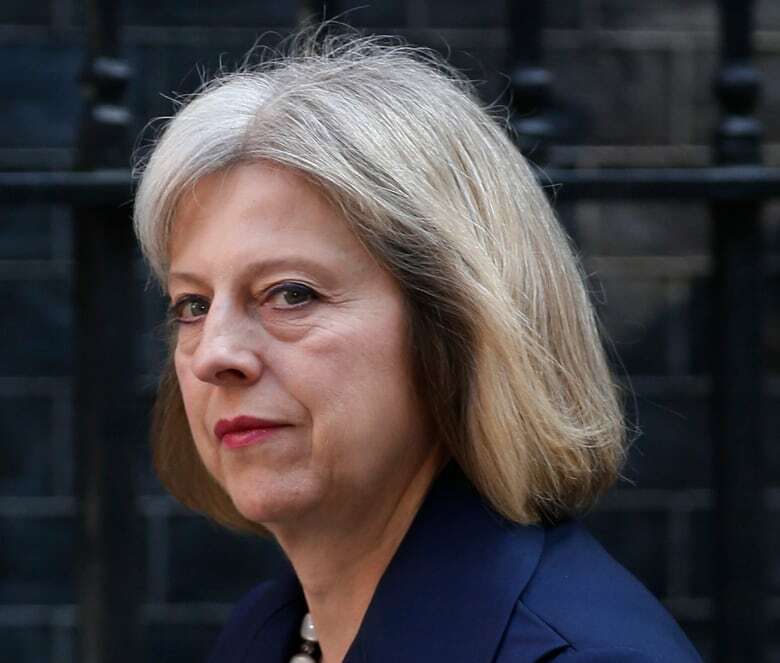 As Britain's Home Secretary, Theresa May stripped 33 individuals of British nationality on terror-related grounds between 2010 and 2015, according to The Bureau of Investigative Journalism. All of the individuals were dual nationals. (Suzanne Plunkett/Reuters)It was something that was of interest to me — the idea of what it means if you say that this person has committed a crime that our justice system will not cope with. In some ways, it's a washing of hands — saying, "They're not ours anymore." To say, "They're not ours," rather than "Why has this happened in our country at this moment?" seemed to me the wrong approach. Antigone starts with this idea of the traitor. The traitor is dead, but he still has to be punished. The way they punish him is by saying the body can't be buried, which is so inhuman — to say this body will be left for the birds and the dogs to peck at. And it really punishes the families who are left behind, the ones who are mourning. It seemed a very modern story of what to do with the citizens who have trespassed in ways that ordinary justice doesn't seem to serve, and we then go to another level. But what is being served, by going to that other level and becoming brutal and becoming barbarous? The reason she's being asked this is because she's Muslim. It's because she's brown-skinned. And what they're saying is, it's not enough for you to be a British citizen. We want something more. We need proof of your loyalty. She hasn't broken any law. She hasn't done anything to make them ask that question except be Other. I think we really need to recognize that citizenship is a legal fact. Anyone who is a citizen gets to be treated fully as a citizen. What their loyalties and attachments are, and whether they're left-wing or right-wing, and whether they have other countries that they're also attached to, is irrelevant to the fact of their citizenship rights. The question "But do you consider yourself British?" — that's actually saying, "I don't consider you British." There's a wonderful writer who's also a friend of mine, called Gillian Slovo. She had just been commissioned to write a play for the National Theatre in London called Another World: Losing Our Children to Islamic State. It's a verbatim play, which meant she was interviewing people to try to figure out why these young British men and women were going off to ISIS. She was wonderful in sharing resources with me — because I was actually very nervous about the research. 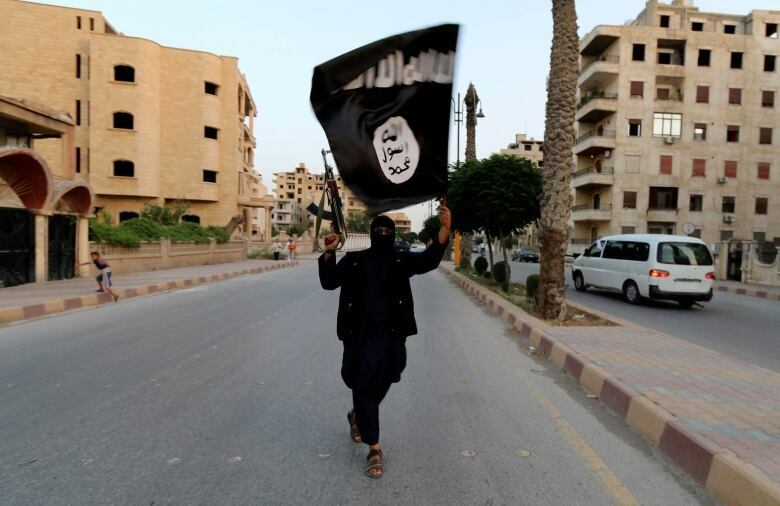 A man loyal to the Islamic State in Iraq and the Levant (ISIL) waves a flag in Raqqa in June 2014. (Reuters)I'm a British-Pakistani Muslim dual national. I thought, if I go online and start looking up ISIS recruitment, there could be a knock at the door. I was very aware of "Googling While Muslim" while doing it. There were all kinds of places I didn't want to go. Even though half my brain thought it was ridiculous, there was the other half of my brain that said, "We live in the surveillance state now. Someone is watching." The other part of it was, I know ISIS put out horrendous violent propaganda, and I had no interest in looking at that. I didn't want to allow them into my mind that way. It was the propaganda I was so interested in, because we know a lot about how violent and horrendous life within ISIS-occupied territory is, but I think what we're much less aware of is how sophisticated and multi-pronged their propaganda is. I was prepared for it to be all about violence, and there's a researcher called Charlie Winter who did a wonderful piece for the BBC on the ways of recruitment. That really showed that actually, what they were doing was creating this utopian image, with really slick production values, depicting it as this land of plenty and opportunity where there's no racism, where there's a functioning welfare state. It's not that he's right. He makes terrible mistakes. But when I was looking at the propaganda, I was thinking, actually, this isn't just appealing to young men who want to go and kill people and feel better about themselves if they have a gun. A lot of this propaganda is targeting lost young men. I keep using the word "young" because it is striking how many of those who went were teenagers. Parvaiz is a teenager. I think what happened to a lot of them is what we would refer to us grooming. I have absolutely no sympathy for the groomers, and those who went to commit violence. They went in order to commit violence. There's no way around that. But there were plenty of people who went to be engineers and doctors, even. In Parvaiz's case, he goes to be a sound engineer [with ISIS's media wing]. It's always important to tell the lesser-known stories. The stories of the violent, radicalized youth who goes and commits and barbarous acts — we know that. 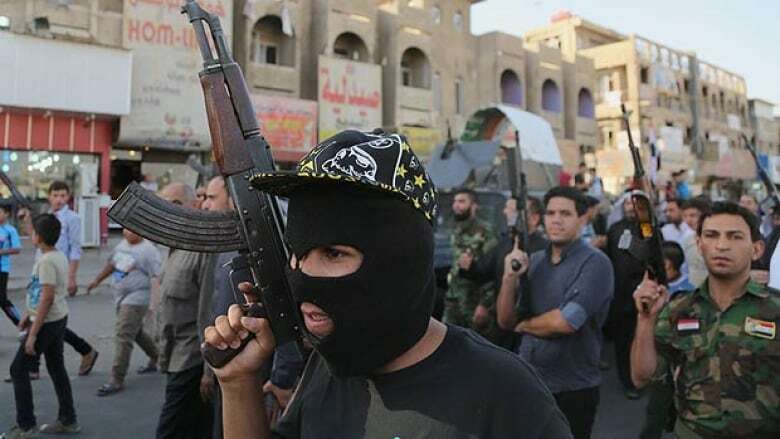 What we know less is the kid who goes and doesn't want to be part of violence, and yet has to agree to sign up to a project that is ultimately very violent, and somewhere in their brains they know it. I don't want to let anyone off the hook here, but if we don't start with a position of empathy for people who are lost at such a young age, then I think we're a little lost. I think the question you have to ask is, "What was the crime? What have they personally done?" I think you need to take it on a case-by-case basis. I'm certainly not saying the door should just be open. There are 15-year-old girls and boys who went. I can't believe that we would say, "Right, that's it, throw away the key on them for the rest of their lives." I think when you see a large number of children doing these things, you have to say, "Where is the responsibility?" I don't think there's a simple answer for that. I think a state certainly has a responsibility to try to save its children. A 14-year-old, a 15-year-old, a 16-year-old — surely we always have the responsibility to try to save them if we can. You have to believe in your justice system. You have to say, we have a system of justice that can handle human criminality. If it can handle rapists and pedophiles, how can we say it can't handle the 16-year-old who went off to another country and discovered they'd made a terrible mistake? I've always loved Greek tragedies. When I started writing this, I had no idea that I would publish it in a year when suddenly there would be this explosion of [adaptations of Greek tragedies]. Maybe the seriousness and the concentration of it is something — because we are living in very difficult, terrible, scary times. Maybe something in the way the Greeks so directly looked at horror. Maybe that's an answer I can be satisfied with — that they looked straight in the eye at horror and terror and the consequences of human folly. Kamila Shamsie's comments have been edited and condensed. Click 'listen' above to hear the full interview.